Hi! Long time no blogging, I have a break from school now so I've been home the whole week just watching anime and playing games.. 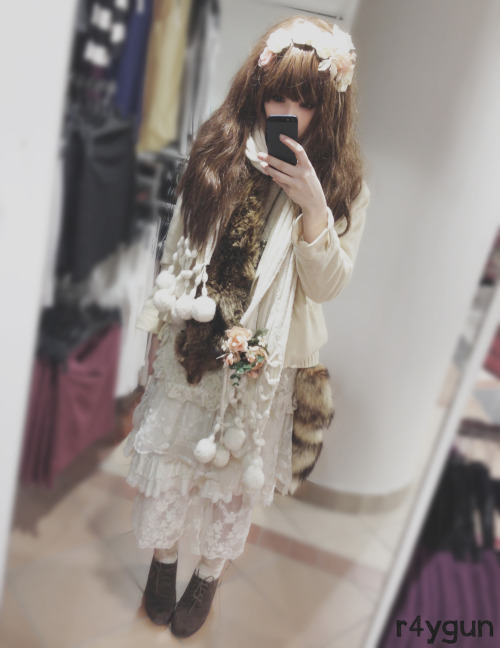 I was at NärCon Vinter a week ago, but I'll write something about that later, because now I'm going to talk about the style mori girl! 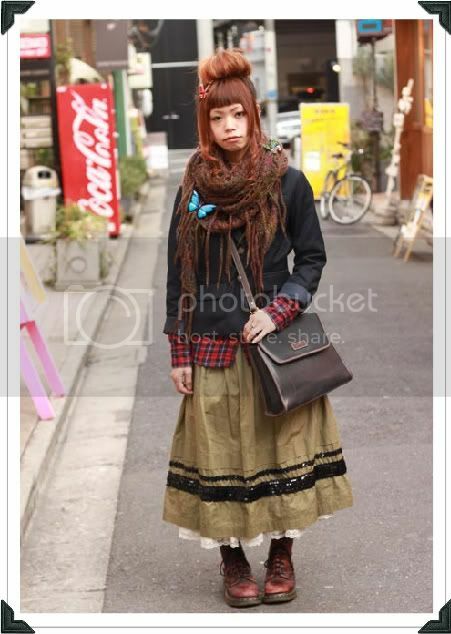 Mori girl or kei is a Japanese street style gives a natural and down to earth look. Mori means forest in Japanese, so the name "forest girl" is kinda self-explanatory. 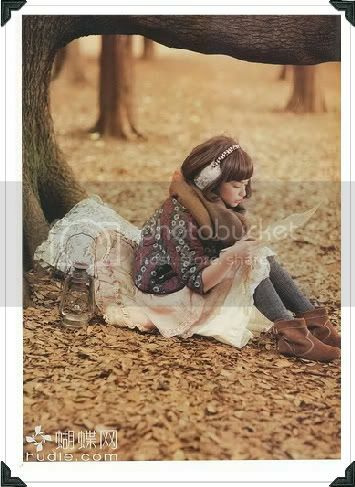 The style tries to capture a look of a girl living in the forest. Clothes hangs loosely and almost flows when you move. 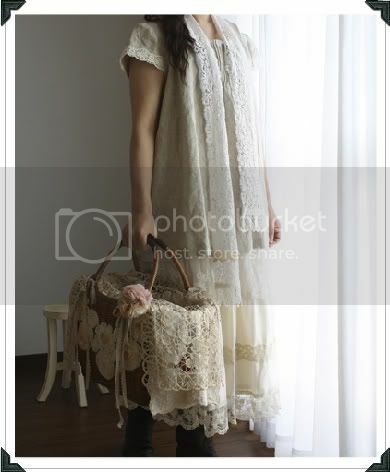 Many second hand and handmade items are perfect for mori kei. Flowers, hampers, mushrooms, even deer antlers! Often beige and natural colours, type of fabric is also very important. Cotton and wool in warm down to earth colors or deep earthy shades like burgundy, dark green, dark blue or brown are perfect. Again, type of fabric matters. Clothes that looks worn and a bit too big made of soft materials are great. Layers layers layers. 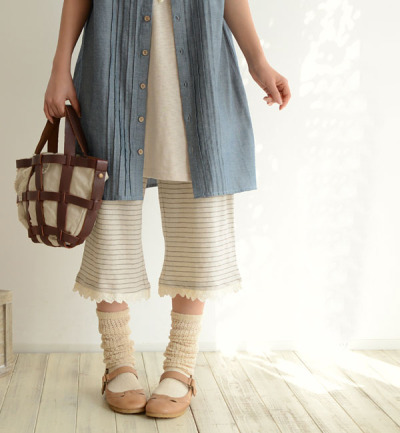 Mori girl have a lof of different looks, so layers are not necessary, but it's my favorite type of mori kei and it's very common. Knitted scarves, ponchos, mittens or almost anything are perfect. Tails and fur details really strengthens the mori look. This is the look you're aiming for! I'm not going to explain deeper than this, because I think it's better to look at a lot of pictures and be inspired instead! Hair, make up and footwear is of course important to the style, but this is a lot more about personal preference. As I said, look at how other people do! Also, tips on more mori tumblrs would be great! 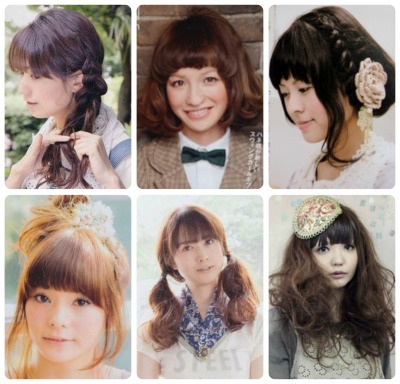 I also found a "mori checklist" that defines the style.. more or less! 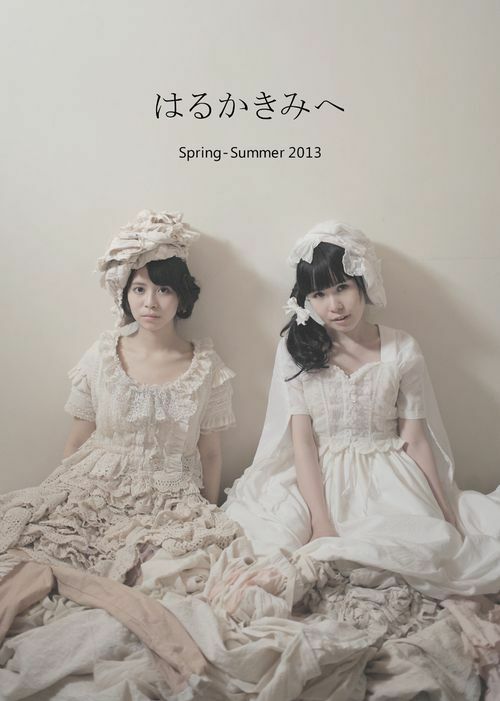 Have you dressed in mori kei or would you like to? This entry was posted on 20130303. You can follow any responses to this entry through the RSS 2.0. You can leave a response. I really really like your version of the style even if I usually prefer less layered outfits as they are more confortable for daily wear.